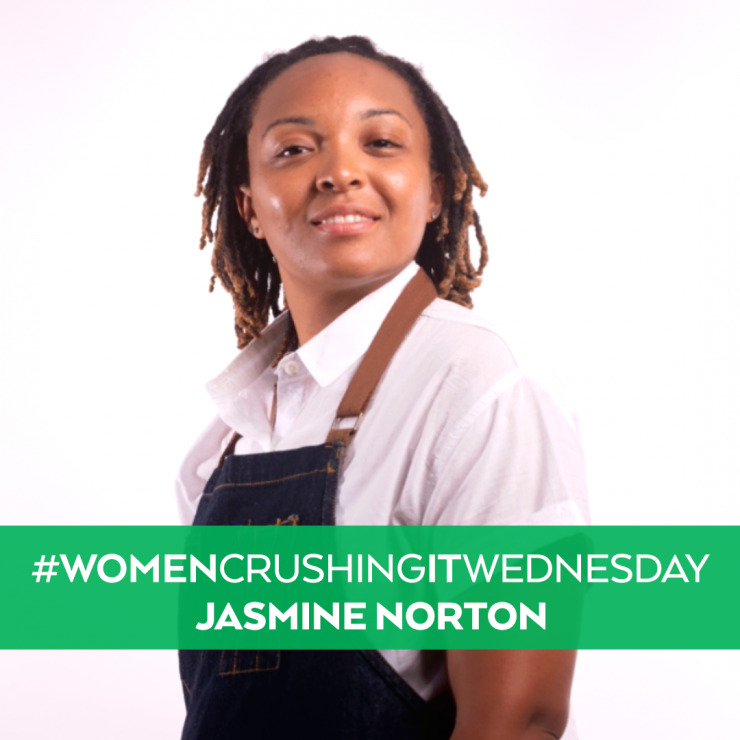 It is with great pleasure that we introduce our next honoree for our #WomenCrushingItWednesday segment, Jasmine Norton. Speaking with Jasmine, she has a quiet reassured confidence and an inner light that gets magnified as she talks about her baby, her business, The Urban Oyster. Jasmine is the Executive Chef and Owner of The Urban Oyster, a family operated oyster bar that opened in 2016 and has seen immense success since being a featured vendor at farmer’s markets, food hauls, pop-up events and festivals. Through hard-work, dedication, passion and surrounding herself with like-minded proprietors in Baltimore’s booming local food industry, her humble beginning as a pop up will soon afford her the honor of setting up roots in her very own storefront on McHenry Row in April. If you’ve met Jasmine, you know that all things seafood, especially oysters, has been a hallmark of all her family gatherings growing up. “Food is a core of fellowship.” she says. She most notably attributes her decision to work with oysters from growing up watching her dad. This admiration for her dad and seafood has been a constant motivator as she expands her brand and works to find a place in the hearts of more Baltimore locals who enjoy oysters or are looking to give them a try. At the new restaurant, you can expect a VIP raw bar section and a full menu inclusive of other delicious items like burgers, wings and short ribs to name a few. No detail is let untouched. Because of the community that helped her get where she is, Jasmine has made it a point to support local brands by selling them on site. You can expect ice cream from the Taharka Brothers, beers and wines from local breweries like Diamondback Brewery and Union Craft and enjoy personalize merchandise and art designed and created by local artists. Jasmine is truly a woman crushing it; making a lane all her own and supporting others on the way up. Don’t expect her to slow down once the Urban Oyster officially opens its doors in April. She has plans for creating a full restaurant brand and create a lasting family legacy. Without further ado, please read through how Jasmine defines women crushing it and the things that she attributes to her success. What does it mean to be a woman crushing? To me, it means being relentless and knocking down gender crippling barriers. What has been the best piece of financial advice that has stuck with you and helped mold your success? The best piece of advice that has molded my success is being resourceful. I understand my weaknesses and for that, I make the most of the things around me and draw on the strength of people in my supportive community who can assist me in those areas that I need help. From where do you draw your "Crushing it" strength? I run my business as if it’s my child. As a parent, there is no distance I wouldn’t travel or any risk that I wouldn’t take in order to assure the success of my business. My greatest triumph has been learning patience and knowing when it’s my time to elevate. Often times we get so caught up in opportunities to grow or expand and sometimes they may not be ideal for our brand. When you don’t have to force a situation is when you know it is the opportunity designed for you. What's your advice to aspiring business women out there? Always educate yourself and stay current with the changes and new implementations of your respective industry and always set realistic goals with a timeframe to achieve them. Please check out and support Jasmine’s store front when it open the first week of April and look for more great things from her to come! Check back next week for our final honoree of our Women’s History Month’s #WomenCrushingItWednesday segment!